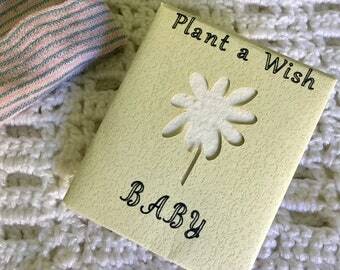 Announcement Introducing my new product line: Plant a Wish paper. This handmade, eco-friendly paper is embracing seeds that, when planted and cared for, will yield the most astoundingly beautiful wildflowers. Write your wish on this magical paper, plant and cover with a thin layer of soil, and water until it sprouts. Will you're waiting for sprouts to emerge, take an actionable step to make your wish come true. Let the sprouts and the wildflowers remind you of the power you have to create the life you want. Dream, act, achieve. Introducing my new product line: Plant a Wish paper. This handmade, eco-friendly paper is embracing seeds that, when planted and cared for, will yield the most astoundingly beautiful wildflowers. Write your wish on this magical paper, plant and cover with a thin layer of soil, and water until it sprouts. Will you're waiting for sprouts to emerge, take an actionable step to make your wish come true. Let the sprouts and the wildflowers remind you of the power you have to create the life you want. Dream, act, achieve. This handmade, eco-friendly paper embraces seeds that will yield beautiful wildflowers. Write your wish on the paper. Plant. Water. Take a step toward your wish. Let the sprouts and wildflowers remind you of your power to create the life you want.